They say that for the true artist, inspiration can strike at any moment. Many artists never leave home without a sketchbook for fear of being unprepared when the muse is upon them. Songwriters often speak of being suddenly awoken from a deep sleep in the middle of the night with a new melody. As woodworkers, inspiration can be all around us. After all, wood literally grows on trees. It’s the most common natural building material in our culture, so we are surrounded every day by various forms of woodwork. Ironically, though, even with all of the natural and man made stimuli surrounding us every day, it is sometimes challenging to find an idea for our next project. Often we decide what to build based upon need. However, when there isn’t an immediate need for something, finding inspiration can be frustrating. I saw this side table in the American Adventure pavilion at Disney’s Epcot recently. I haven’t built a high style period piece in awhile since the furniture really doesn’t fit with my home’s decor. However, this piece has inspired me to look through a few museum books that I have and inventory my mahogany boards to see if I have what I need to build a version. Equally ironic, however, is how inspiration can come when you least expect it. Take the table above for example. 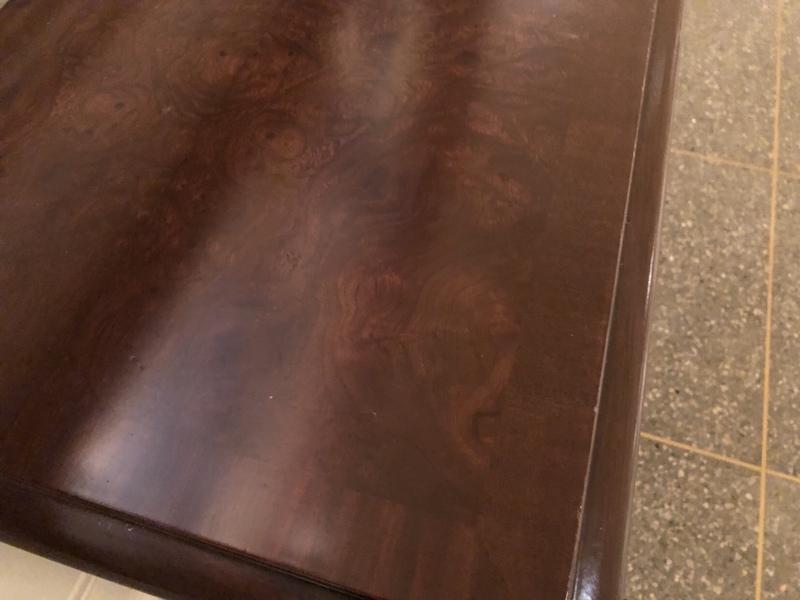 I saw this table recently at an attraction in Walt Disney World while on vacation with my family. I was not looking for project ideas. I wasn’t even thinking about woodworking. Heck, I don’t even really build period furniture anymore because we don’t care for it in our house, and I no longer live in an area where it’s easy to sell it. Something about this piece spoke to me though, and it’s not even a real functioning period reproduction. 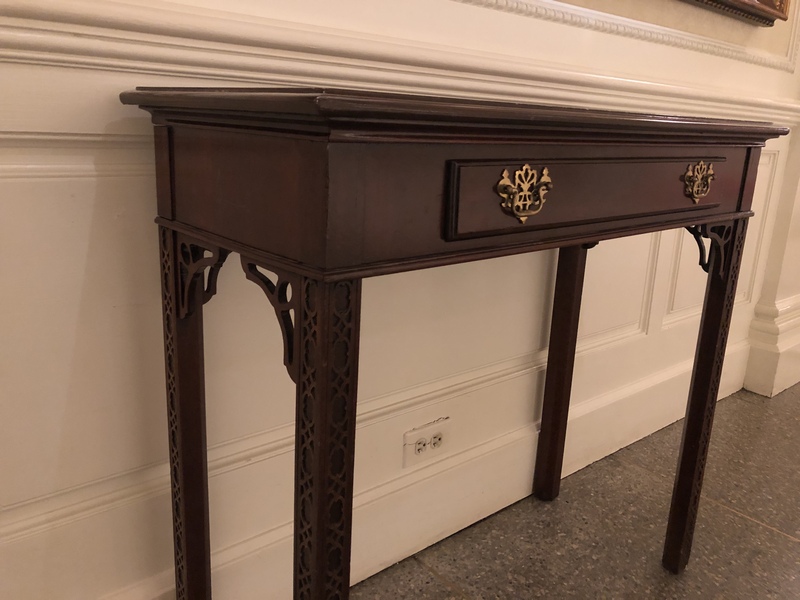 While this table is just a prop and not a true reproduction of any specific piece, the Disney folks did a decent job of representing the style. At this point, I don’t need a table like this. I don’t even have time to build it. I’ve been building a new log cabin for my family and I for the past two years and I need to focus on that. I also have a private class coming up to prepare for, so I really can’t take on another project right now. But this table inspired me enough that I will file these pictures away and do a bit of research in my limited free time to prepare to build a [more historically accurate] version of it. Even the top is highlighted by a burl veneer with a banding of quarter sawn mahogany. This is really impressive for an amusement park prop. So be prepared, and keep your eyes open wide when you are out and about. You never know when inspiration will strike you. 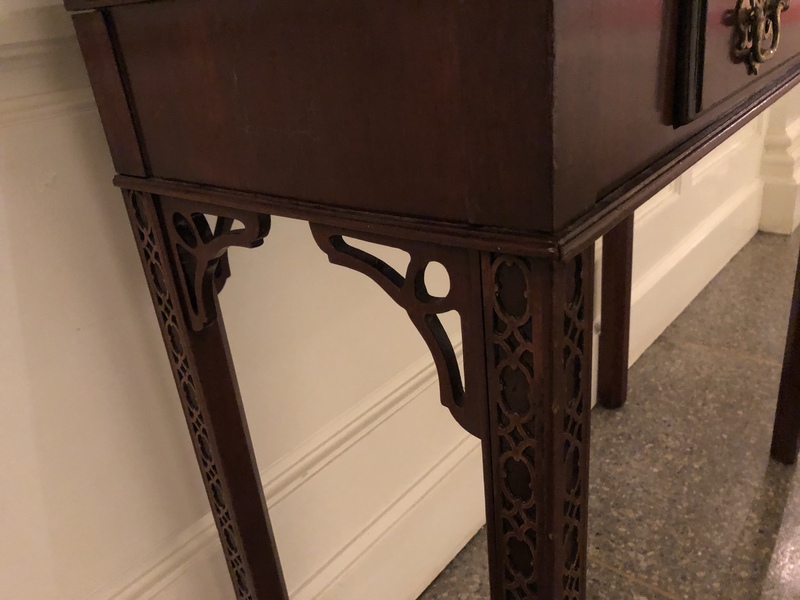 Posted in Antiques, Project Logs, Random Thoughts and tagged Chippendale Side Table.